About 3 years ago Josh Ronsen of Austin, TX invited me to send him mail art that measured one inch or less. Over the past few years I’ve sent him multiple mini-artworks. In January this year Josh displayed his collection of tiny art at Malvern Books in Austin. 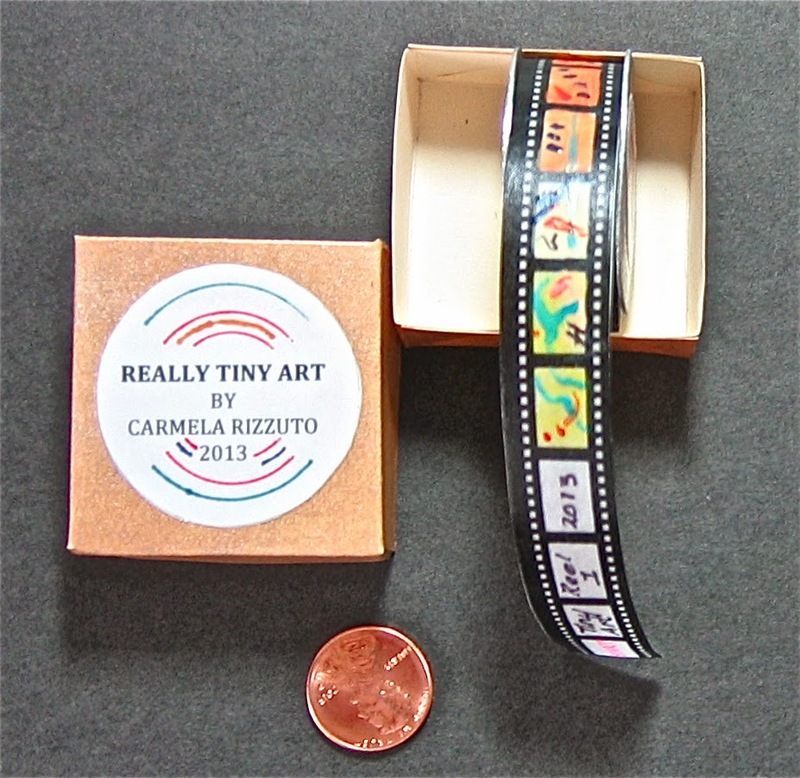 My movie reel titled, Really Tiny Art, is featured at the beginning of a Youtube video documenting the event. The reel is 1.5 inches in diameter with pictures of less than half an inch. The 36 pictures are painted and drawn on paper/washi tape. I'm grateful to Josh for inviting me to be part of his 'tiny art' project. View more of his mail art collection.